Teaming with Turner + Jostin Construction, FCC looked to partner with an outfit whose primary role was to lead a construction workforce hiring program, connecting individuals to construction job opportunities. Cincinnati’s construction industry has grown tremendously in recent years and is not expected to slow down. 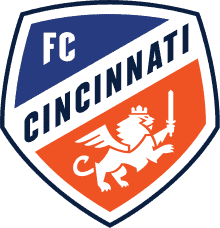 “We see FC Cincinnati’s West End Stadium project as a significant platform to connect people to new career opportunities and a new path forward,” shared Johnmark Oudersluys, Director of the CityLink Center. “We wanted to create a program that is sustainable not only for the relatively short-term FCC project, but for the long-term investment in the industry. Sharing awareness, education, and connecting people to opportunities previously believed to be out of reach are the highlights of our work. “With our integrated approach and amazing partner agencies, we can support our neighbors realize their full potential on a holistic level,” Oudersluys added. Preliminary construction activities have just started within the project’s site boundaries. The construction management team of Turner + Jostin have spent the past few months reviewing contractors’ proposals and awarding contracts for the preliminary site work. For more information about potential work and career opportunities at the West End Stadium site, please visit the First Source website at firstsourceoperator.com or contact FirstSource at 513-357-2000.